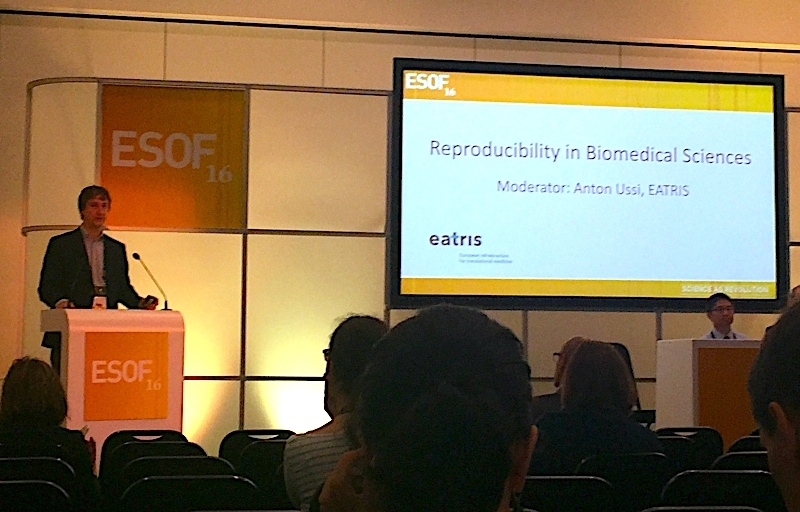 Recently, EATRIS moderated a session at the EuroSciences Open Forum (ESOF 2016) held in Manchester. The session entitled “Reproducibility in Biomedical Sciences” gathered high-level opinion leaders to discuss the high irreproducibility rate currently observed in biomedical sciences. In the panel were Rinze Benedictus, staff advisor at the University Medical Center Utrecht, The Netherlands; Fay Betsou, chief scientific officer at the Integrated Biobank of Luxembourg; Justin Bryans, Director of Drug Discovery, MRC technology, UK; Duc Le, UK Editor-in-Chief for EBioMedicine and Frances Rawle, Head of Corporate Governance and Policy at the Medical Research Council, UK. The session was moderated by Anton Ussi, Operations Director, EATRIS. The session was highly interactive, with lively discussion from panel and audience alike. The wide variety of expertise present facilitated a comprehensive and intensive debate. The panel agrees that the causes of the issue are manifold, and solutions would be only possible via systemic changes at all levels of the research process. Effort should be made in education of the new generation of scientists towards methodology and experimental design, awareness on standards and quality control together with laboratory certification, change in the reward system or in the reviewing process by scientific journals. Strong commitment from funders is an absolute requirement for meaningful change. Following the example provided by the Dutch funding agency NWO and as a first action, funding should be made available for replication of results by researchers before engaging money in new experiments or projects. This could be undertaken with the help of the research infrastructure such as EATRIS. 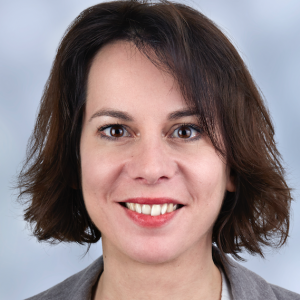 Reliability of results could also be dramatically increased if more potent compounds/chemical tools available within the pharma industry would be released to the research community to study biological pathways. Those would be of huge benefit in public private partnerships within the pre-competitive space.